A common problem encountered by developers is when you have to program the same application features over and over again across different apps. It’s a waste of resources and it takes time away from focusing on features specific to the projects. This is where libraries come in. Libraries contain packages and classes which allow developers to address common programming issues and extend the functionality of their applications without having to code the same thing several times. It helps save time and drastically lowers the learning curve needed to introduce new functionalities to applications. But not all libraries are created equal. The content and size of the library depends mainly on what it was designed for. Even though Java has its own internal library, it doesn’t always have the API or components needed if you’re working on particular projects like business systems or a mobile game. This is why sometimes it pays to look at third party java libraries to help address these specific needs. There are hundreds of Java libraries available today, but most developers only rely on tried and tested libraries. Today, we’ll be sharing the top 15 essential third party Java libraries that developers need to know. All these libraries are free, and contain exciting features that can be of great use to all developers—from newbies to experienced coders. Commons Math is a free mathematics library that features packages for numerical analysis, complex numbers, geometry, fractions, statistics, linear algebra and more. It also has mathematic and statistic components that are lightweight and self-contained for addressing programming problems such as solving systems of linear equations, curve fitting, machine learning and more. LWJGL 3 (Lightweight Java Game Library) is a cross-platform library for designing Java games. This platform independent library provides direct and high performance access to native APIs for graphic development (OpenGL), audio (OpenAL), and parallel computing (OpenCL) applications. It also enables access to controllers such as joypads, Gamepads, Steering wheels and Joysticks. 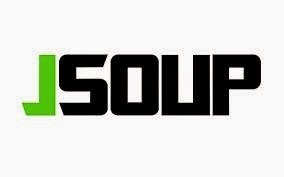 Jsoup is a Java HTML parser library which parses HTML in Java to the same DOM just like modern browsers. It allows parsing HTML from a url, file, or string and manipulating HTML elements, text, and attributes. It also has a convenient API for extracting and manipulating data, using the best of DOM, CSS, and jquery-like methods. Its “jQuery-like” and “regex” selector syntax are also very easy to use for data extraction. The Standard Widget Toolkit or SWT is an open-source widget library designed for Java. It was designed to provide efficient and portable access to user interface elements of the operating system on which it is implemented. SWT has a wide range of development tools from sample snippets, widgets, documentation and examples. For developing applications that involve high energy Physics, FreeHEP is a very useful (and free) library to use. FreeHEP encourages the reuse and sharing of Java code in high energy physics and has several components like a vector graphics package, HepRep (Event Display Representables), PostScript Viewer and more. And to reduce dependencies, FreeHEP allows you to use only the parts that you need without using the entire library. Apache Log4j is a logging library for Java which enables logging at runtime and control logging behavior without changing or modifying the application binary. The Log4J package is designed so that log statements can remain in shipping code without heavy performance costs. Log4j’s inheritance feature in loggers helps reduce the volume of logged output and the cost of logging. Jackson is a standard JSON parser library for Java. This fast and user friendly library contains a suite of data processing tools for JAVA and the JVM (Java Virtual Machine) platform including the JSON parser, data-binding library (POJOs to and from JSON), and other data format modules like BSON, AVRO, CBOR, CSV, XML and more. JFreeChart is a free Java chart library that features a robust API to help developers show professional looking charts on both client side and server side applications. It can create pie charts, bar charts, Gantt charts, histograms, and much more. It supports various output formats, such as Swing and JavaFX components, image file formats and vector graphics file formats. Google Guava is a set of open-source Java libraries that have been widely used in a variety of Java-based projects like functional programming, primitives support, common annotation, string processing etc. It aims to make Java a more pleasant language by testing preconditions easily, simplifying the implementation of Object methods and the simplification of error and exception propagation and examination. Hibernate ORM is an object/relational mapping library for mapping Java classes to database tables. It enables developers to create applications where the data outlives the app by developing persistent classes using natural object-oriented idioms. JWNL is a Java API for accessing the WordNet relational dictionary and is used for developing NLP applications. The extended library supports Java generics, dictionaries, and enhanced database support. JGraphT is a simple to use Java library for mathematical graph theory objects and algorithms. It can support a wide variety of graphs like multigraphs, pseudographs, directed and undirected graphs and more. Dom4j is a flexible yet simple open source XML framework for Java. This library allows you to read, write, navigate and modify XML documents. It can be used with an existing XML parser or can also be used with JAXP to configure the right SAX Parser to use. OpenNLP is a collection of Java-based NLP tools from Apache that supports the Maximum Entropy Model (MaxEnt)—a popular machine learning model for natural language processing tasks. It’s used for sentence-segmentation, part-of-speech tagging, and entity extraction, chunking and parsing. So that’s our list. Obviously there are many more Java libraries out there that can be quite useful, but these 15 are among the standouts. If you haven’t found exactly what you need above, why not have a quick search here and see what else you can discover?